Asset Distribution: 4 Mistakes to Avoid When Designating Beneficiaries | Carolyn Moller Duncan, P.C. Designated beneficiaries are people (though can also be a trust or an estate) whose life expectancy is used to calculate particular features of a retirement plan. These plans can include qualified plans, 457(b) plans for state and local government employees, 403(b) accounts for public school employees, or a traditional individual retirement account (IRA). Additionally, designated beneficiaries will inherit the balance of the account, life insurance policy, or annuity after the grantor passes away. Approximately 58% of baby boomers (between the age of 53 and 71) do have estate-planning documents, as well as 81% of those age 72 or older, the majority of Americans above the age of 18 do not have a will. Unfortunately, when it comes to asset distribution, there are a lot of mistakes that people make, leading to all sorts of complication legal, personal, and financial issues down the road. Not actually naming a beneficiary — Not naming a beneficiary for your life insurance policy or retirement plan will lead to major problems. Your family or potential beneficiaries would have to deal with probate attorneys since your assets will be going through probate. Not keeping designations up-to-date — Another common issue is not updating beneficiary designations. If, for instance, you get divorced, it’s important that you immediately review and update your designations. Selecting financially irresponsible beneficiaries — We have all a few friends or family members that we certainly love, but are fully aware of their poor decision-making when it comes to their finances. Instead of designating these individuals as your beneficiaries, you might have better luck creating a spendthrift trust in order to hold the inheritance for the beneficiary and will protect the financial assets from creditors. 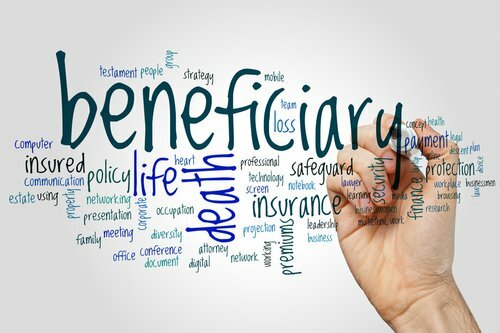 Selecting multiple beneficiaries on a transfer on death deed — Also known as a “Lady Bird deed,” transfer on death deeds allow you to designate a benefactor who will inherit your assets outside of probate upon your death. Listing multiple beneficiaries can create all kinds of familial disputes and lead to some serious problems with your assets in the future. If you want to learn more about asset distribution, designated beneficiaries, and other aspects of the probate process, give Carolyn Moller Duncan a call right away. Copyright © 2019 Carolyn Moller Duncan, P.C., all rights reserved.